We are a manufacturing company dedicated to achieving shared success. Through collaboration and advanced technology, we offer solutions that drive productivity gains. What we design and manufacture ultimately becomes the foundation for what you design and manufacture. Saginaw Industries partners with manufacturers to create innovative solutions and high-quality parts that meet challenging performance requirements. Our engineers listen and conceptualize before collaborating on design. 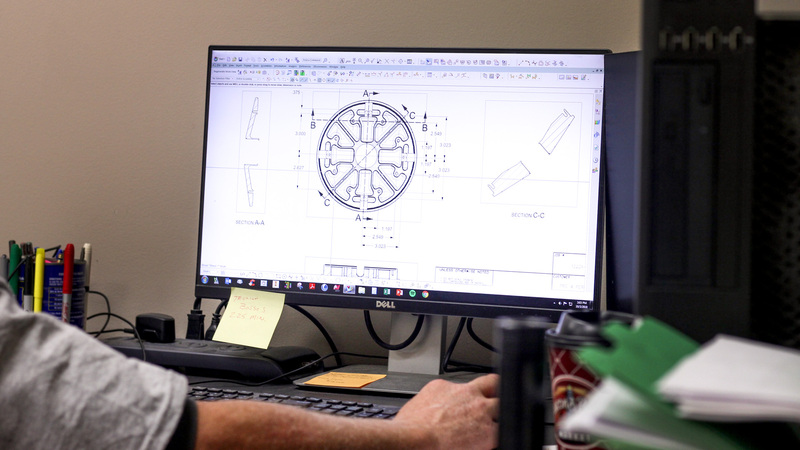 Our team’s experience and expertise is wide-ranging and includes detail part design, prototype, tool build, and low- to high-volume production. Whether the need is for aluminum foam mold production, end-of-arm tooling, lost foam production, or custom pallet manufacturing, we are equipped to handle the job. Discover the unparalleled advantages of foam and lost foam technologies. We are also pioneers in billet foam tooling. Saginaw Industries’ aluminum molding services enhance quality, reduce scrap, and increase production rates. Our engineering design services are ideal for converting ideas into real products. With our quick turnaround, you’ll be able to get your product to market sooner. Have custom parts made quickly. We provide a wide variety of high-quality machining. From design concept to production, explore our fabrication capabilities and be supported by a single-invoice supplier. Our highly skilled engineers can show how all components can be assembled and provide the necessary details for the project. Discover what Saginaw Industries – a U.S.-based, globally competitive manufacturing company – can do for your business.